Details about the Nxt 2.0 token distribution have been announced. Those who have been following Nxt 1.0 know that the launch of Nxt 2.0 (Ardor) will be a big and important step forwards, not just for Nxt but for blockchain technology in general. With the amazing and broad set of truly disruptive, stable features already running on the Nxt 1.0 blockchain, the next leap forward will be the solving of the blockchain bloat problem inherent to all existing blockchains. This can make Ardor the first globally scalable crypto platform, and in addition to this, Ardor will enable any individual, business and community to launch their own fully secured customised private ledgers. In short, a Nxt 2.0 Main Chain token (ARDR) will ‘forge’ (~ stake/~mine) all the childchain transactions and thereby secure them. The first and default Nxt 2.0 childchain (Ignis) to be launched with the genesis block will be a ledger which integrates all the functionality of Nxt 1.0. Ardor’s prime innovation is to split the blockchain into a main chain that is used for consensus creation only, and multiple child chains that keep separate ledgers of transactions, each child chain using its own coin/token. Nxt 1.9 is going to be the last major release on the Nxt 1.0 branch. Nxt 2.0 is not a fork of Nxt 1.0. NXT tokens will continue to exist. Existing 1.0 users will be able to log in to Nxt 2.0 with their existing passphrases. The Nxt core development team is committed to providing support for Nxt 1.x for at least one year after the Nxt 2.0 launch. Additional GUI functionality may or may not be added to the NRS Client. The Core Developers recognise the tremendous contributions of the investors and holders of the original Nxt 1.0, without whom Nxt 2.0 would not be possible, and have decided to grant them exclusive rights to the new 2.0 tokens. ALL Nxt 2.0 Main Chain tokens (ARDR) will be distributed among the holders of Nxt 1.0 tokens. Nxt 1.9 will be announced shortly with a hard fork for the ARDR distribution without API changes. The only way to get ARDR is by holding NXT in your account during the snapshot phase (which starts when Nxt 1.9 is released and will run for about 3 months). The Nxt Software will start taking periodic snapshots of all users’ NXT balances, at regular intervals (most likely once an hour), for a period of three months. The NXT balances in each account will be averaged over this full three month period, and at the end all accounts will be automatically credited with a token representing their ARDR holdings, issued as an Asset on the Nxt asset exchange. This ARDR Asset will be freely tradeable. The distribution of the real ARDR coins will be based on the ownership of ARDR Assets taken at the point of time when the 2.0 Genesis block is created. There will be no burning of Nxt 1.0 needed in order to receive either ARDR or [Ignis] Tokens. ARDR tokens will be used for forging (i.e. staking / mining) to maintain and secure the full Ardor network and incentivize people to set up nodes. Users of any Ardor childchain will have to pay bundled transaction-fees to ARDR forgers. Holding the ARDR token provides the ability to bundle many child chain transactions into a ChildChainBlock transaction on the main chain (i.e. become a bundler) and forge transactions on the main chain. Ardor Mainnet is scheduled to launch in Q3 2017. As stated above, Nxt 1.x will continue to run; you will get to keep all your current NXT tokens. 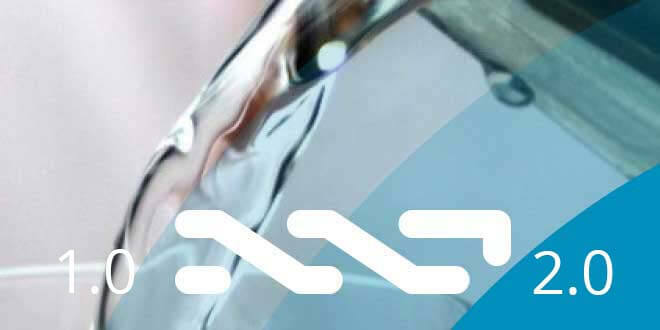 The Nxt 1.x equivalent chain which will launch with the Ardor genesis, is a new Nxt ledger. Its transactional token has been dubbed Ignis. The Ignis token will be the only transactional token on the Ardor network when it launches, and until new child chains can be spawned. Ignis tokens will be distributed ~ 50/50 to NXT holders/Nxt core development team. The ~ 50% Ignis which are to be distributed to the core development team will be theirs to use for funding the continued development of the Nxt 2.0 platform. [Ignis] will be created in the Genesis block of Nxt 2.0. At the moment NXT holders will get 50% [Ignis] of their NXT balance. The other 50% will be reserved for the devs, for instance to do an ICO with, or something else. As this is still one year in the future, the exact method of this is still being debated. This means, that in addition to the Main Chain tokens (ARDR), NXT 1.0 holders will be accredited a number of Ignis (Nxt 2.0 transactional tokens) equal to ~ 50% of the NXT they hold in their account when Ardor launched in Q3 2017. As a warning to traders, Riker states that: “If you keep your NXT on a centralised exchange you’ll need to check with the exchange how they handle the ARDR/Ignis distribution since it will be distributed to the exchange account. The exchange will get the ARDR / Ignis tokens and will decide what to do with it”. Our best advice would be for you to keep your NXT in your own Nxt account with your own passphrase. Nxt has had issues with breaking backwards compatibility when preparing for the switch to Nxt 2.0 / Ardor. Nxt 1.10.x API will NOT be changed, so developers working with the Nxt 1.10.x API can feel safe that their code will keep working on the 1.0 branch and that they can easily port their new or existing Nxt projects to the new Nxt 2.0 ledger, if they want to do so after it has been launched. The Nxt core development team is very willing to offer their help in that regard, in case it should be necessary. One exception to the backwards compatibility-rule is, as announced on release, the Nxt add-ons feature (available for developers from Nxt 1.8.0e), as this will “undergo significant refactoring in 2.0”. Use it to test, play with it, but like Jean Luc writes: “Keep any custom add-on code simple, and be prepared to have to change it for 2.0 or discard it”. You can follow the Nxt development in nxtforum.org/, and if you’re in doubt about anything, ask the core developers. can nxt holders get the ignis tokens if they lease out their nxt forging? Sure, because those NXT still belong to you. If you open your official NRS wallet and click on “More info” under the Account Balance icon you’ll see your NXT “Balance”. That “Balance” (not “Effective Balance”, just “Balance”) is the one taken into consideration for the Ignis snapshot. before Q4 this year, when Ignis and Ardor launch. Hi, currently I am holding NXT on Bittrex exchange, can I just leave it there to get IGNIS? and which wallet will IGNIS come to? IGNIS will be distributed to all accounts holding NXT. Bittrex is a centralized exchange. They will receive IGNIS for the NXT they hold for their customers, and it is up to them to distribute these IGNIS tokens to their rightful owners or keep them. As soon as they announce what they will do, we’ll write about it. You are 100% sure to receive IGNIS if you hold your NXT in a wallet under your control. You can download a local client or create an account online @ https://nxt.jelurida.com or create a cold storage account with https://nxter.org/nxtbridge-offline. The Ardor Genesis Snapshot is scheduled to occur in the last week of December, around Dec 27 – 30, exact block height to be announced one week in advance. The IGNIS will be created with the Ardor Genesis block (forged on January 1st 2018), in an IGNIS account which you can access with the same passphrase you use for your NXT account. Updates can be followed here: https://nxter.org/newsletters, and on jelurida’s website. Where can I find the nxt wallet. I am trading nxt on poloniex. you can download the official Nxt client from jelurida.com and run it in light or full mode. Or you can use https://nxter.org/nxtbridge-offline to create and use a cold storage account. the ARDR distribution is over, but you will get IGNIS if you hold NXT during the snapshot, which will occur in the last week of December, around Dec 27 – 30, exact block height to be announced one week in advance. Hitbtc is a centralized exchange. They will receive IGNIS for the NXT they hold for their customers, and it is up to them to distribute these IGNIS tokens to their rightful owners or keep them. As soon as they announce what they will do, we’ll write about it. Hello , i am holding my nxt from 13 th may 2017 in official wallet. But less awareness i dont know about free ARDR. Am i able to get it or its gone. Regards. It’s gone. For 3 months prior to block 1000000, which was forged on October 12th, 2016, hourly snapshots were taken of the Nxt blockchain. ARDR were airdropped on NXT holders 1:1 according to the average of NXT they held/had held in their account during this period of 3 months. If you bought NXT in May 2017 you got in too late to become part of the ARDR distribution. if i buy nxt coin now on 13 december for 100nxt, means i can get 50 ignis coin? Yes if you hold 100 NXT when the snapshot is taken on Dec 28 2017 (exact block height will be announced) you will receive 50 IGNIS. why ignis will receive 10% of all child chain issued under ardor platform instead of ardor? IGNIS holders will not receive 10% of ALL new child chain tokens. The issuer of the Bitswift child chain has decided to donate 10% Bitswift tokens to IGNIS holders. This seems to get confused with the JPL terms (https://www.jelurida.com/jpl), under which CLONES of Nxt must distribute no less than 10% tokens to NXT holders. Ardor will be released under the JPL license as well but the exact terms has not been released by Jelurida yet. The current Ardor source code is issued under a temporary evaluation license. nxt holder will get 10% of all clone of nxt means child chain of ardor also need to pay 10% to nxt holder? why the ardor platform do not use the tangle technology? tangle technology(DAG) can eliminate transaction fee. after ardor released, the nxt platform will obsolete? the ador currently selling on the cryptocurrentcy market, the ardor holder now will receive the real ardor after the mainnet launch? same ratio , 1:1? Ignis can forging by itself inside the child chain? >nxt holder will get 10% of all clone of nxt means child chain of ardor also need to pay 10% to nxt holder? >why the ardor platform do not use the tangle technology? tangle technology(DAG) can eliminate transaction fee. >after ardor released, the nxt platform will obsolete? >the ador currently selling on the cryptocurrentcy market, the ardor holder now will receive the real ardor after the mainnet launch? same ratio , 1:1? >Ignis can forging by itself inside the child chain? I have NXT on poloniex account. And i kept that during the fork on 28.12.2017. I have 100nxt, so that means that i will get 50 ignis coin? Polo has not announced support for the airdrop. They will, though, receive IGNIS and BITSWIFT tokens on behalf of all their customers, when Ardor Genesis block is forged on 1st January 0:00 CEST.